Temperatures here in the Midwest have plummeted deep into the negative category. 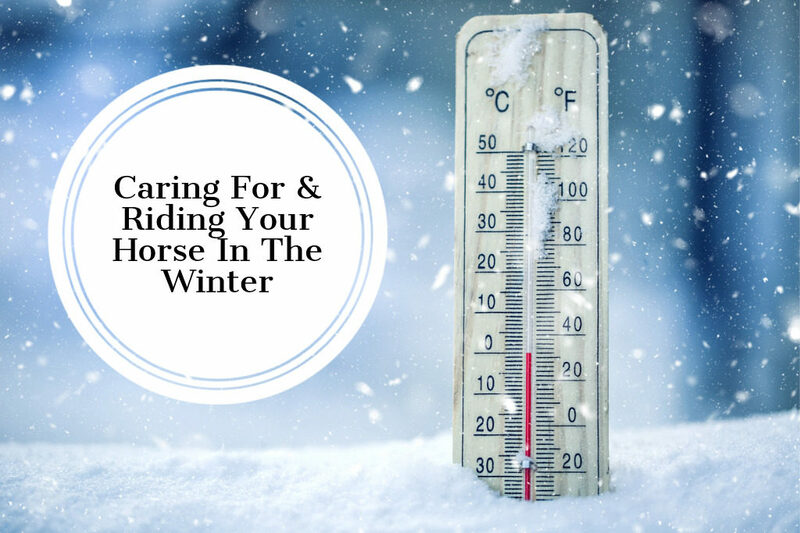 It’s literally too cold to ride anywhere (-51 with wind chill) other than a heated arena, however these temps did remind me about the importance of warming up your bit(s) during the cold winter months, especially if you don’t have access to a heated tack room. I’m sure many of us remember the Christmas movie where the little boy and his buddies gather around a frozen metal poll and then…it happens. Someone sticks out his tongue and it quickly freezes to that frozen poll. The same pain (and damage) could occur when shoving a frozen bit into your horses mouth. Following are some tips on warming bits. Some we’ve tried and others we’ve not but I want to bring them to your attention anyway. Pockets & Hands: This is a great and economical option but…it takes a little while to get those bits warmed up using either method. We prefer to stick the bit in an inside sweatshirt pocket while we are grooming and doing other things in the barn. Typically, we found the closer to the body, the warmer they get which makes sense. When you’re ready to tack up, if the bit still feels too cold, hold it in your hand for a few minutes until it warms up. Note: If you’re riding multiple horses during a day, having a pocket full of bits could be a bit cumbersome…and loud. Heaters: A lot of people will stick their bits in front of a heater (in a bathroom, tack room, etc.) for a few minutes to warm it however…a bit can get too HOT and cause burns to the tongue and inside of your horses mouth. If you’re using this method, check your bit frequently to insure it’s not getting too hot. Many Veterinarians will tell you they’ve seen more damage from bits that are too hot vs too cold so always check your bit before you tack up…if it’s too hot to hold, it’s too hot for your horse. (Always remember, SAFETY first, when using a heater in a barn. Make sure the heater is far away from anything flammable, never unattended and unplugged when not in use). Rinse Under Warm/Hot Water: This is a good option for individuals who have access to hot/warm water in their barn. Holding a bit under really warm water can warm it up quickly. Once finished, dry thoroughly and stick the bit in an inside pocket until you’re ready to tack up. We don’t have warm/hot water in the barn so we haven’t used this method as it’s impractical for us at this point. 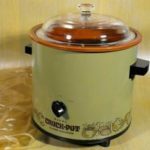 Crockpot: I just read about this option but have never used it. Some people take an old crockpot out to their barn, add water, their bits and turn it on low while they ride for the day. This always insures a warm bit and all you really need to do is dry the bit off before using. (Always check to make sure the bit it not too hot before tacking up). Sounds like a viable option but like heaters, crockpots are also a fire hazard (cue the memories of the fire caused by a crockpot in NBC’s hit show, “This Is Us”). We don’t have that many horses to ride so this probably isn’t an option we’ll use. If you’re using rice, you will need access to a microwave. Simply toss the bit warmer into the microwave for a ‘bit’ until the rice is warm. Then wrap the bit warmer around your bit and secure it with the velcro closures. The rice will warm your bit up and if the warmer is constructed well, it will help hold the heat in for a little while until you’re ready to use it. If you don’t have access to a microwave, you would chose a bit warmer that contains ‘pockets’ inside and pockets house the hand warmers that are available at most farm supply stores, Amazon, Walmart, etc. All you need to do is activate the warmers, insert them into the pockets and wrap the warmer around your bit. These warmers also utilize velcro closures so the bit warmer can be securely held in place and attached to your bit. Quality construction will insure the bit warmer provides the insulation to keep the heat in and keep your bit warm. As I said, I have a bit warmer on order and I have also downloaded a sewing pattern to make my own. The pattern looks easy enough and I will be documenting that process in an upcoming video. 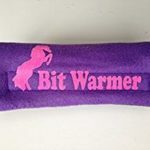 If you’re interested in making your own bit warmer, let me know and I will forward a link. It’s important to find a solution that works well for you and your horse. We’re interested in hearing your remedies for warming up your horses bits on cold days!